A new report has been published today and unveils the success of a volunteer group set up in order to safeguard communities around the ‘Throat of Fire’ Tungurahua volcano in the Ecuadorian Andes. Over 600 million people live close to active volcanoes around the world. The research shows that living safely in these perilous areas can depend on effective communication and collaboration between volcanologists, risk managers and vulnerable communities. The report explores a network comprising of 35 volunteers called ‘vigías’, which was set up 14 years ago due to the wake of renewed activity at a historically dead volcano. 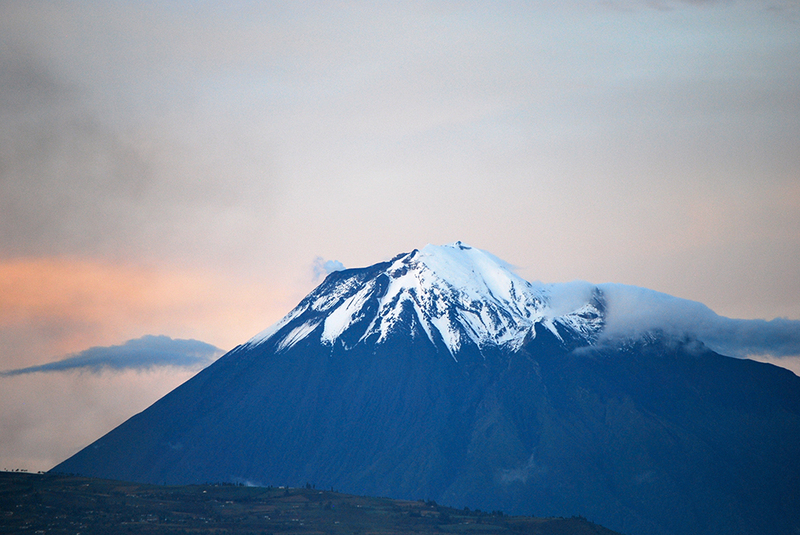 The eruptions led to a military excavation of approximately 25,000 people from Baños and the surrounding area. However, leaving homes, land and livelihoods was difficult, and the community rallied together to over-run checkpoints and re-occupy the town. Lead researcher Jonathan Stone from UEA’s school of environmental sciences said: “This pattern of re-occupation is common in volcanic areas and after other natural disasters. The people of Baños wanted to go home even though it wasn’t safe. “The volcano’s activity has varied from small explosions with ash emissions to violent eruptions with fast-moving pyroclastic flows. Living close by is a real risk, and so the vigía network was set up to help monitor the volcano and protect the community. The Spanish word ‘vigía’ means watchman, guard, sentinel or lookout – but the research shows that the role extends beyond that which the name suggests and that of the normal citizen scientist. “The vigías are members of the community who help scientists collect data about volcanic activity, are part of a vital early warning system for eruptions, and facilitate evacuations of the community during a crisis. “The network enables citizens to continue to live and work in a hazardous area by enhancing their capacity to respond quickly to escalating threats. The ideal risk reduction scenario would be to move people out of the way of the volcano permanently, but clearly this is not always practical – people often want to live and work in particular locations for a number of reasons, and anyway – there are few places that you can move in the Ecuadorian Andes that aren’t threatened by one or several volcanoes! The report reveals how the eruption in August 2006 was pivotal, with many lives saved in the Juive Grande area thanks to the vigía network. When further eruptions took place in 2013 and as recently as February and April this year, scientists and responding agencies attributed in part of the zero loss of life and injury to the quick actions of the volunteers. The research team interviewed members of vigías, people of the community and scientists to discover why the network was such a success. Jonathan Stone said: : “The area is potentially becoming more dangerous with villages and grazing lands around the volcano’s base particularly at risk. One of the reasons why the vigías network really works is because they have a vested interest to be ready for the next eruptive event. They want to work with the authorities to help their communities. “Scientists are considered friends and colleagues, which also has a big impact on the success of the network. The vigías act as a bridge between the community and the scientists. The communities are able to more rapidly trust and act upon advice from the scientists and authorities, because of the vigías. ‘Risk reduction through community-based monitoring: the vigías of Tungurahua, Ecuador’ is published in the Journal of Applied Volcanology. The research was funded by the Economic and Social Research Council (ESRC) and the British Geological Survey.